4.9/5 out of 512 votes. Scorpio Daily Horoscope for Today, Tomorrow and the Day after Tomorrow. 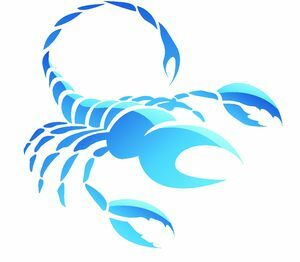 All the latest information you need about Scorpio Horoscope and updated Daily. As you take another step upward today, you may realize that there's a large part of the mountain you hadn't accounted for before. Perhaps this steep portion of the climb wasn't visible from below when you started the trip. Don't panic. By overreacting to the unknown, you may lose your balance and go sliding down the face of the mountain. Collect yourself, rest, and plan your strategy one step at a time. Today you may not feel much like working, and you might even decide to play hooky from your responsibilities. If you have nothing urgent to do, consider indulging this whim. Relax with a good book and a cup of tea. Watch a favorite movie. Take a long walk in a beautiful park. In the evening, cuddle with a love partner. Savor the day's gentle energy. An older male visitor could come to your home, possibly to help you with some work that needs to be done. Family members may have abandoned you for the day to go out and do their own thing. You will welcome the company as well as the help. Practical matters, such as the household budget, might need attention, so set aside some time to work out the details.